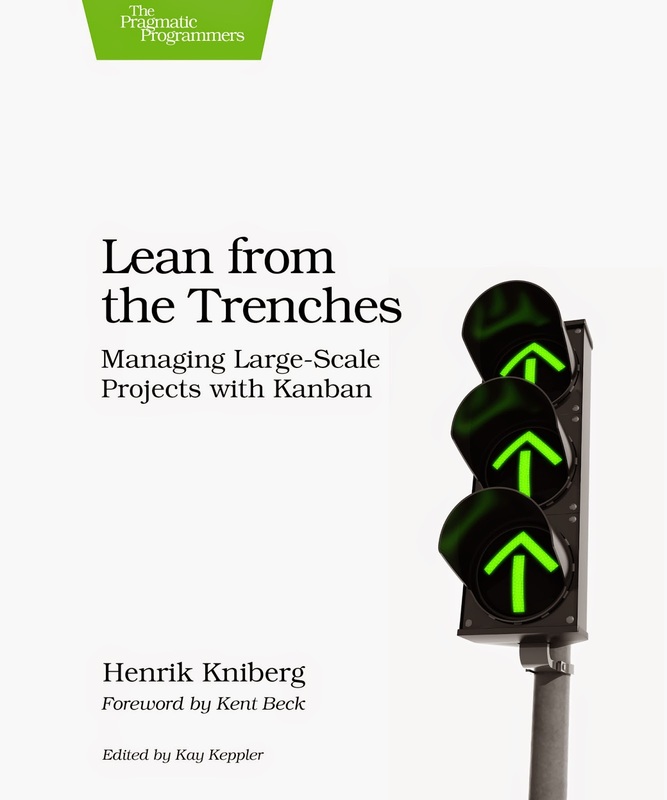 This weekend, I spent a couple of hours reading Henrik Kniberg’s book “Lean from the Trenches - Managing Large Scale Projects with Kanban”. The book relates the author’s experience using Kanban on a large project for the Swedish national police authority. I always enjoy these kinds of true life experiences, but this one had some personal resonance for me because of my experience with Lean and Kanban in an organisation a few years ago. I was contracting as a Quality Manager for a global Financial services organisation in western Europe and the software development department I was working in was selected as the pilot for a new Lean IT Management initiative. The development team consisted of a mixture of employees, contractors and in-sourced staff and numbered about 70 altogether. The development work was primarily feature based enhancements across a portfolio of products. An external consultancy (a big six outfit) was brought in to lead the initiative (at enormous cost!) and a small group of internal employees were selected to be the navigators for the initiative. Their training consisted of a 5 day bootcamp and they were joined by the department head and another senior manager. After the bootcamp there was a frenzy of workshops over the next couple of weeks. Team members were invited to participate in the workshops but had no input into the design activities which followed. Within four weeks a new set of operating procedures were “implemented” across the team. The consultants left and the department was left to fend for itself under the watchful eye of the navigators, who were effectively the blind leading the blind. The new operating processes were a disaster. Key principles of Lean (not to mention basic change management principles) were ignored, and staff ended up doing twice as much overhead and admin work as before. Morale plummeted, confusion reigned and productivity went south. Despite my role as quality manager, I was not engaged in any part of the process, and as such shared the despair of the staff. However, with good understanding and experience of Lean and Agile and as an experienced change leader I felt duty bound to try and do something to help resolve the situation. I put together some notes and recommendations and spoke with the Lean IT initiative leader. He agreed with my observations and recommendations and we set about repairing some of the damage. Which is where Henrik’s book starts to resonate with me. 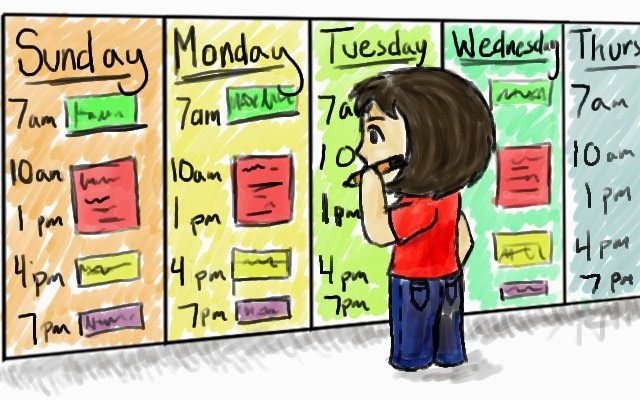 The most visible new process that was introduced was the daily stand-up meeting around a team white board. Ah - Kanban - you start thinking. Only this wasn’t a Kanban board or even a Scrum daily stand-up. This was a simply a highly visible (and time consuming) task and time tracking system for each team member which duplicated existing corporate time tracking tools and project schedules. The teams were given no understanding of the purpose or how the information would be used - they were just told that filling in task sheets and attending the meeting was mandatory. Not surprising then that there was almost complete resistance to the concept and the practice. Over the next few weeks, I worked with the management, the project managers, the navigators and most importantly the team members to try to convert the activity into something more akin to a Kanban board, and to change the daily stand-up into something that could add genuine value to the projects rather than a dreaded inquisition of each team member. We succeeded, and the teams took more and more ownership of the activity by adapting it to each of their specific needs. It was a real eye opener for me to watch a very expensive initiative being undertaken without due diligence and with precious little respect for the basics of change management. It was also extremely satisfying to be able to help turn it around - and full credit to the management for realising their problems and to the staff who actually did eventually turn a sows ear into something resembling a silk purse!